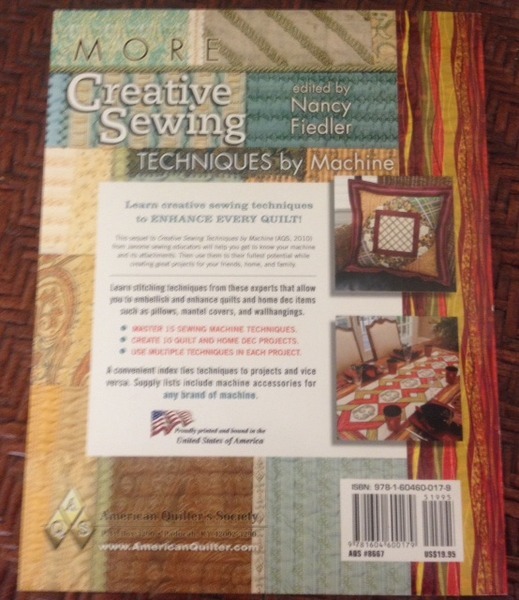 A sewing techniques teacher for over 20 years, Educational Coordinator Nancy Fiedler organized the projects and edited the work of her Janome Educator colleagues. All of the project designers have years of skill-building experience and teaching machine techniques to sewers, non-sewers, and quilters at all levels. The instructions are to the point, generic to all machine types, and easy to understand and translate to other projects. Go beyond dull, dry descriptions of sewing machine attachments. Learn how they enable techniques to create beautiful quilts and home decor projects, learn 15 sewing machine techniques, create 10 quilt and home decor projects, and use multiple techniques per project. A convenient index pegs techniques to projects and vice versa. Supply lists include machine accessories for any brand of machine.